Forty-nine states and the District of Columbia, have reached a settlement with Western Union, resolving a multistate case brought against the wire transfer service. 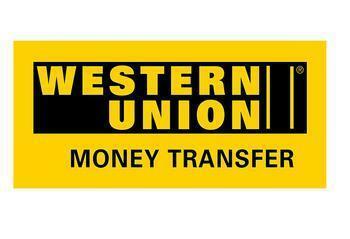 The case goes back more than a decade, when widespread scams relied on Western Union to deliver money from victims. Scammers specifically told victims to use a wire transfer when they sent money. That's because money sent by wire can't be traced or retrieved. While Western Union was in no way involved with any of the scams, prosecutors sought to hold it liable because the fraudsters relied on its services . In addition to the states, the Justice Department and Federal Trade Commission (FTC) reached a settlement with Western Union in a separate case. In the current case, 50 states and Washington, DC will share $5 million. "Far too many people have fallen prey to con artists, then lost thousands of dollars wired through Western Union," said Illinois Attorney General Lisa Madigan. The company said in an emailed statement that it has "significantly enhanced our compliance program in recent years by adding more employees with law enforcement and regulatory expertise, strengthening our consumer education and agent training, bolstering our technology-driven controls and having our Chief Compliance Officer report directly to the Compliance Committee of the Board of Directors." Western Union said it has "increased overall compliance funding by more than 200 percent and now spend approximately $200 million per year on compliance, with more than 20 percent of our workforce dedicated to compliance functions." Madigan went on to caution consumers not to ever respond to requests to wire money upfront in order to claim a foreign lottery prize, pay bail for your grandchild, or pay overdue taxes to the IRS. Such a request, she says, should be a red flag that you are dealing with a scammer. Michigan Attorney General Bill Schuette says con artists are good at dreaming up all kinds of schemes to convince consumers to wire them money. “It is important for consumers to be aware of these types of scams because wiring money is like sending cash – once it’s picked up, it’s gone,” Schuette said. The states pressed their case against Western Union, saying it should have been more diligent in detecting and preventing schemes in which its service was being used for illegal activity. As part of the settlement agreement Western Union will be required to establish an anti-fraud program that will identify wire transfers that may be for shady purposes. It requires warnings on forms that consumers use to wire money and training of Western Union personnel on ways to identify scam-related wire transfers. It goes without saying that consumers, especially the adult children of elderly parents, bear responsibility for avoiding and keeping loved ones from falling victim to wire transfer schemes. Here's a simple rule -- a wire transfer should not be used to send money to someone you don't know. There is no way to track it, or get it back, in the event of a dispute. A transaction that you did not initiate, that requires payment by wire, is probably not on the up-and-up. If you are confused about what to do, talk to a family member or local consumer authority before acting.